yes saw and liked this on fb but this is a better picture. 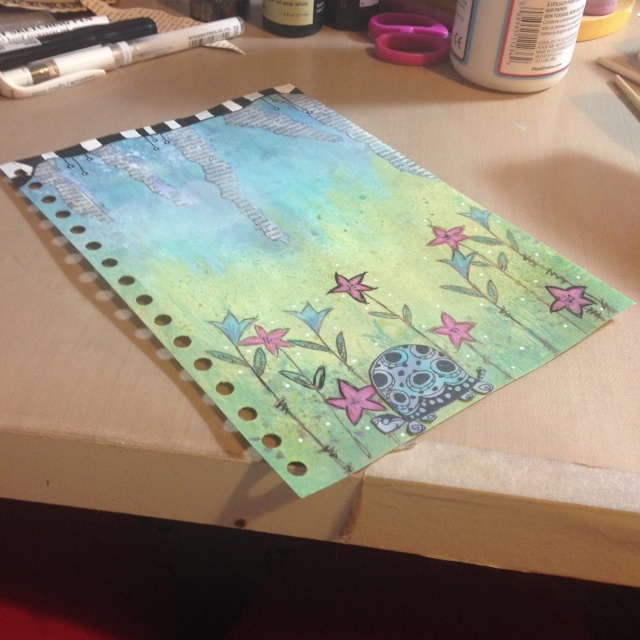 Do you still do much art journalling KT? Like this: wonderful background. A slow stroll through the garden. No add ons needed, Kate. It's fabulous. Well, I mean no further embellishments, just words.